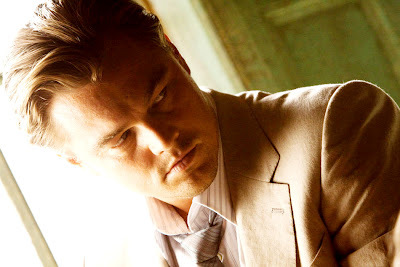 As I've discussed potential meaning behind many of the characters in the film Inception, I have delayed my post on Dom Cobb, the lead character played by Leonardo DiCaprio. Like the film, there is a lot of areas to explore with this name, and while there may not be one conclusive connection, I don't think that this name was chosen flippantly by Christopher Nolan. An interesting thing about Leo's role is that if you had read spoilers about this film in 2009, you may have read that DiCaprio's character's name was Jacob Hastley. Part of me is tempted to dig into this fake name because many believe Nolan created it as an April Fool's joke...but I'll stick with Cobb primarily, although perhaps further review should be done into his first name Dom (short for Dominic it seems, but since the credits just list "Cobb" we'll stay there for this post). This is by far in my mind the post important connection one should draw with this name. Although where you go from here takes another leap that simply seems trickier to make. 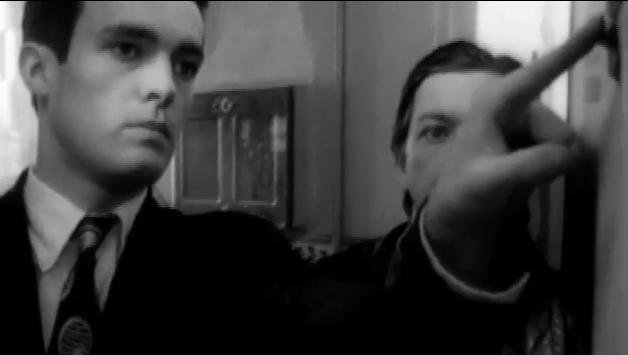 Following is the name of Nolan's first feature film which premiered at Toronto in 1998 before a limited run in 1999. In this film one of the primary characters is named...wait for it...Cobb, played by Alex Haw. In Following hardly anyone has a name this character does. In Following, Cobb, is a thief, but a very interesting thief, while he has a variety of motives the premise of his character is that while he breaks into homes his purpose is not for vast riches, but he enjoys creating psychological distress. One way Cobb does this is he looks for "the box." Cobb (Following) advises, that "everyone has a box." And in this box is where they keep their life, their secrets, their memories. Cobb a petty theft of CDs he resells makes a point to find this box of photos, letters, secrets and disrupt it when he breaks into their homes. The connection here, among other connections one sees in the Following Cobb along side Inception Cobb, are pretty clear. Granted these are different projects and this is not the same Cobb, but it's definitely an echo of a character. Not to mention the film's story arch much like Inception & Memento shows Nolan's creativity and ability to create a multi-layer narrative warranting a second viewing. Other connections in the film is a unique relationship the two characters have with their love interest, careers, certain ways that the two Cobbs manipulate a situation within a situation within a situation to achieve their ultimate goals, and even their professional but almost-aggressive attitudes. I've seen others point to Cob as being another name for a spider (where we get the term cobweb) and as such this story is a cobweb. Personally, I find that a limited reason for the name based on my theory of a stronger correlation and intention in name choice. In fact, I find the spider theory as valid as saying that the name beckons back to Cobb Salad with it's multiple parts, or the corncob with it's unique core-construction. Or how about it's name for a swan or a pony? I'm not seeing those possibilities. In fact, I am even quick to discount the use of the name to allude to Cob a building material of clay and straw. If it were not for the use of the name in Following I might be able to see it since Cobb is a talented architect but what he builds isn't very strong or sturdy in reality like the building material. But I don't think that definition works with the film The Following at all, and I have to think the connection gaps both films. The connection to people is possible in this case, and part of me wonders if Nolan's inspired by one of these people, or has a unique personal connection to one of these people or there work. A few like Artie and Jayne I would count out if I force the name to connect the two Nolan films that use the name. Andrew R. Cobb, the Canadian Architect; Artie Cobb, Champion Poker Play; Henry Cobb, Architect; John B. Cobb, Methodist ministers one of the developers of process theology, combining meta-physics and faith; Jayne Cobb, Firefly Character; Ron Cobb, concept artist for films like Aliens and Star Wars Episode IV; Stanley Cobb, Founder of Biological Psychiatry who's work often focused on the mind-body problem; Stephen Euin Cobb, science fiction author and futurist; Cob a character in the sci-fi children's story The Farthest Shore by Ursula K. Le Guin. I would chose the inspiration coming from the 1968 British television show The Prisoner. 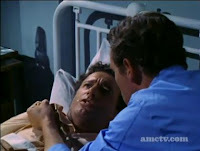 In this TV show, Patrick McGoohan plays Number 6, a secret agent who upon resigning is drugged and then taken to The Village, a place he cannot escape...much like the world's the architect's create. Part of the reasons to trap him here seems to be a strong motive to check his motives for resignation. And if you've seen any of this series you might see how the duel world of this series as well as the protagonist fighting off manipulation would be something Nolan might appreciate. I know that Nolan has seen this series is because in 2006 this was a film that Christopher Nolan often spoke of making it into a big feature film often siting his interest in this series and it's contemporary relevance. In the first episode "The Arrival" there is a character named Cobb played by Paul Eddington. This first episode reminds me of Lost meets The Truman Show. Cobb, a previous colleague also stuck in the village, dies almost as soon as he arrives by jumping from a window. Although even in this first episode this element is not all that it seems. I think the entire concept of trying to capture mental information in this series is unique it's own regard, and I have to even think that this TV series played a striking influence on the story of Inception. the followers is available through netflicks on-demand. i plan on checking it out asap!